Here for Zero Punctuation? See Yahztee in Person Instead! See Yahtzee tackle games live in The Hour of Love, Q&A With the Escapists, My Favorite Game, and Fanboyism panels. First, the bad news: There's no Zero Punctuation this week. Now, the fantastically awesome news: Instead of his normal, weekly review, we've got hours of Yahztee live at this weekend's Escapist Expo instead! Don't worry, Yahtzee will be back next week for his usual timeslot, but for now, you can watch him and the rest of the Escapist talent dish about games, movies, what they love, what they hate, fanboyism, and more in our Expo panel video series. Check out all our panels from the Escapist Expo last weekend in both video and audio-only formats! Hour of Love sets out to answer one important question: What if some of your favorite gaming critics were all put in one room and only allowed to say nice things for an entire hour? Dr. Mark Kline moderates as The Escapist contributors must all swallow their bile and think about nothing but rainbows instead. You've got questions, we've got answers. If you've ever wondered how Yahtzee learned to talk so fast, why MovieBob hates Michael Bay, why Jim is banned from Konami events or if Gavin really is that bad at Call of Duty, now's your chance to ask. Escapist staff will be pulling questions directly from the audience, so be ready to be curious. Everyone has that one game that they put on a pedestal. The one game that you measure all other games against. The Escapist contributors talk about their favorite games and why they will always compare new titles to the one game that provided the perfect mix of character, story, and skill challenge. Fanboys. We all know one, and some of us may even be one. Like it or not, "fanboyism" is a massive force in nearly all social circles, either online or as part of your local gaming group. But what's the impact the phenomenon really has on our culture? Writing a hit song is a real science, especially when each piece is an homage to a favorite game or movie. Gavin has spent years writing songs under the moniker Miracle of Sound and he will pass on his extensive knowledge along in this panel. Maybe he'll even break out his guitar and sing a few of his favorites. He takes requests! Reviewing videogames looks easy, but it takes more than just playing something and writing about it - especially if you want to keep an audience entertained. 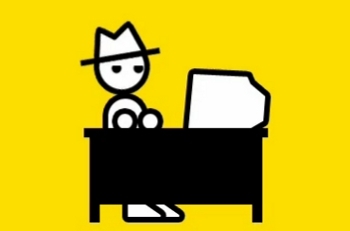 Learn the art behind the entertainment as the creators of Zero Punctuation, Game OverThinker, and Unskippable discuss the tools they use to take games apart.